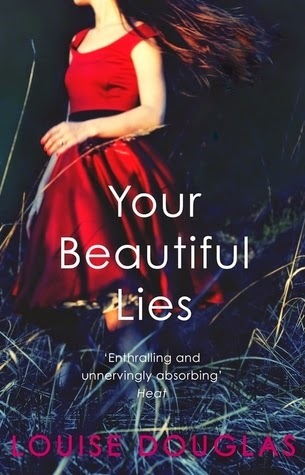 I’ve loved everything Louise Douglas has written previously and I had great hopes for this book – thankfully I wasn’t disappointed as it is a great read! Annie grew up in Matlow, the daughter of a miner. Whilst in her teens she was in love with local lad Tom, who was imprisoned for the manslaughter of an old lady. She is now married to William, the local police chief who has a reputation for being incorruptible, and although she has an affluent lifestyle her days are repetitive and tedious, consisting of cooking, the school run and caring for her frail mother-in-law. Annie is troubled by the news that Tom has served his time and is back in the area insisting he is innocent. Despite her initial reservations, Annie is drawn to Tom and seeks to find the passion that is so lacking in her life. Set in the 1980’s miner’s strike the atmosphere of the book is bleak and claustrophobic. Being from that area and living through the strike, I thought it was very well written and captures the despondency and hopelessness of the whole situation. It’s a gritty read and all the main characters are seriously flawed; Annie in particular is not a sympathetic character, she’s childish and self-absorbed. The only character I felt any warmth towards was William’s mother who has flashes of clarity amidst her increasing confusion and bewilderment of senility. All the threads are skilfully brought together and culminates in a shocking ending. It’s a fantastic book, more serious in tone and scope than her early novels, and I look forward to her next one. Thank you to Netgalley and Random House UK, Transworld for my review copy. Just have to say...how gorgeous is this cover? !